The gradual formation of the Earth has given us some impressive islands, which are home to some of humankind’s biggest cities and even countries. While humans can’t make islands as impressive as mother nature, we’ve certainly have made some very cool ones. These are 10 of the most amazing artificial islands from all around the globe. In order to get ready for the 1967 International and Universal Exposition, the city of Montreal, Quebec, needed to build a metro system. 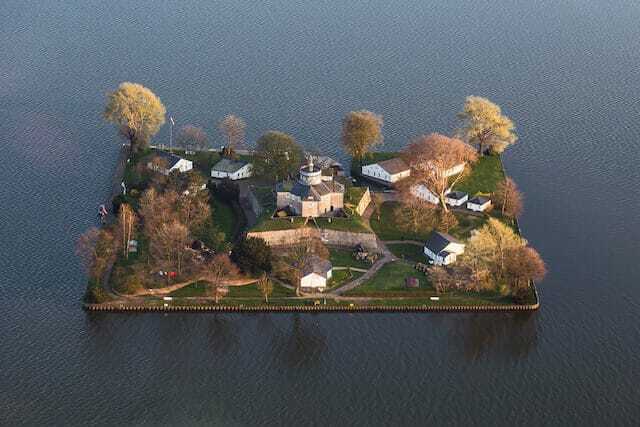 In order to build one, they needed to dig out 15 million tons of rock, and they came up with an ingenious way to use it – they built Notre Dame Island in the Saint Lawrence River. Today, the island is home to several tourist attractions, including the Jacques Villeneuve Circuit, which is where the Canadian Grand Prix is held, and it’s also where the Montreal Casino is located. Wilhemstein is found on Lake Steinhude, which is the largest lake in northwestern Germany. Its construction was ordered by William, Count of Schaumburg-Lippe, and it was built between 1765 and 1767. Fisherman would take rocks over in their boats and then drop them in the water until the island was formed. The island is 134,548 square feet and was originally designed to be a fortified hideaway for the Count. Today it is a museum and a tourist attraction. The artificial island with the best name started off as a sandy shoal off the coast of San Francisco. The city decided the shoal was a hazard for boats, so construction on the island started in 1936, overseen by the U.S. Army Corps of Engineers. 25 million cubic yards were taken from all over the bay to make the island, which is a mile by a mile-and-half. It was completed in 1939, just in time for the Golden Gate International Exposition. After the exposition came to an end in September 1940, the Navy took it over and it became Naval Station Treasure Island. It was closed in September 1997 for civilian use. Today, the island is best known for its flea market and annual music festival called Treasure Island Music Fest, because if you’re holding a concert at a place like Treasure Island, you don’t really need a clever name. It also has a restricted area of abandoned houses because the soil is contaminated with radioactive waste. The Navy never explained why there was radioactive waste, but there are two theories. The first is that they repaired ships there that may have been exposed to nuclear radiation during nuclear bomb testing in the Pacific. Another theory is that they purposefully covered a ship in radiation to train servicemen to wash off the radiation. public. It was only in 2010 that they started to clean up the area. Last year, after 20 years of planning, it was announced that 8,000 homes, a hotel, and parks are to be built on the island, which will cost $5 billion. Found in the Indian Ocean, Maldives is a tropical country and home to a 0.7 square mile man-made island called Hulhumalé. People first moved onto the reclaimed island in 2004, and as of 2016, it is home to 40,000 people. When developing the island, there was a focus on sustainability and the island was designed to be climate change resilient. It’s also the only smart city in Maldives; there is a smart grid built into the city and it has a state of the art traffic light system. On the island, you can find hotels and restaurants, but the main attraction is the beautiful beach, which has water that is full of marine life. Water sports, like snorkeling, are available and boat trips are quite popular. 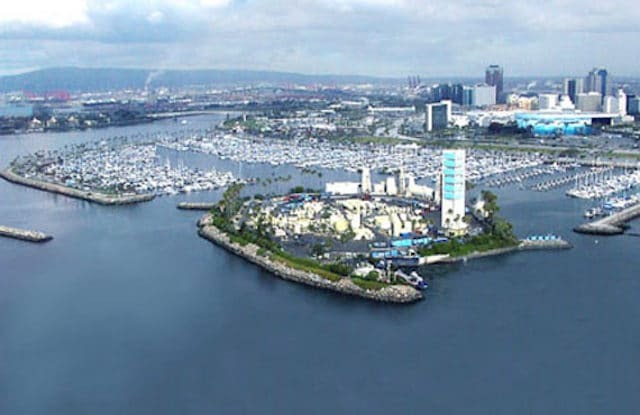 The THUMS Islands were constructed in 1965 in Long Beach, California. 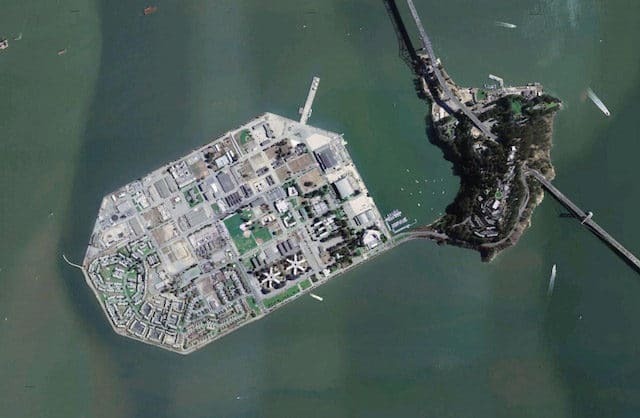 They’re a set of four artificial islands, and the name is an acronym for the five companies who had it constructed – Texaco, Humble (now Exxon), Union Oil, Mobil, and Shell. From the companies who built it, you’ve probably gathered that there aren’t any homes on the island, and you’d be totally correct. Instead, the islands are oil drilling facilities. The island is still used for oil drilling and as of 2015, there were about 1,550 active drills. 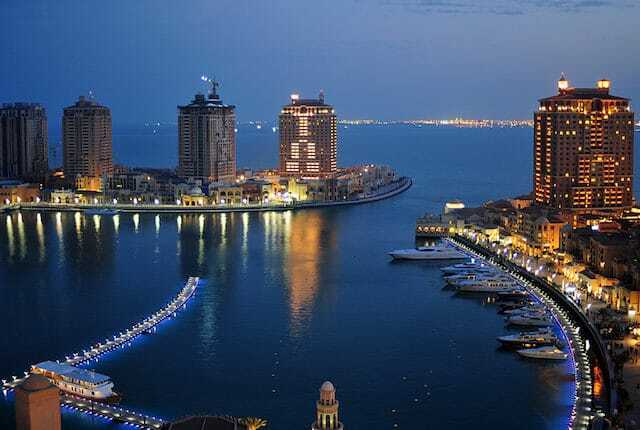 The United Arab Emirates’ biggest and most populous city, Dubai, has several impressive man-made islands and one of the most interesting projects is the World Islands. Construction started on the islands in 2003, but momentum on the project came to a halt because of the 2008 financial crisis. Since then, the 300 islands that make up the seven continents have started to sink into the Persian Gulf. In 2014, the project came back to life and construction restarted on the islands. The developers said that it will have lavish hotels and restaurants, along with half-submerged, half-skylit floating homes that are called seahorses. They cost $2.8 million each and 70 percent have already been sold. Bahrain is a small country in the Persian Gulf and it is home to a group of beautiful artificial islands called the Amwaj Islands. Construction on the islands started in 2002 and from the beginning it was designed to be a smart city. Cisco and Oracle were given contracts to develop fiber optic networks for all the homes and businesses on the islands. The islands have different sections and one of the most impressive areas is Al Marsa, also known as the Floating City. The houses are surrounded by deep canals, which allows home owners to park their boats in front of their homes, making it look like a very modern version of Venice, Italy. Another impressive area of the islands is the Central Lagoon, which is the commercial area of the islands. In the Central Lagoon, there is nearly 600,000 square feet of commercial space including open-air markets and two dozen restaurants. In cities where there are housing shortages, governments and real estate developers have to get a little creative when it comes to building new homes. One city that is having a particularly difficult time with a lack of housing is Amsterdam. One of their solutions is a series of artificial islands called IJurb. 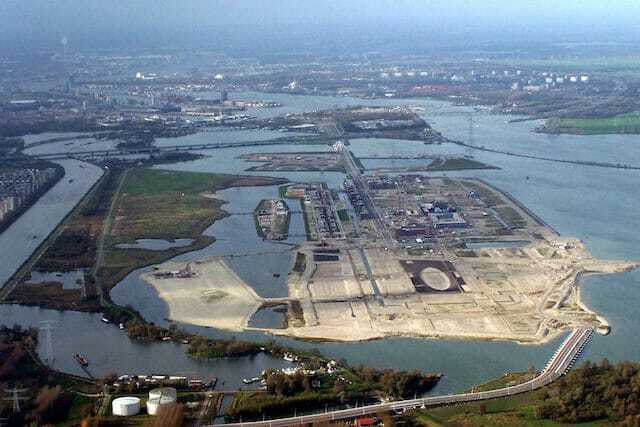 Construction on the islands started in 1996 in IJmeer, which is a lake east of the city. There are three islands: Steigereiland, Haveneiland, and Rieteilanden, and they are connected to each other and the mainland by bridges. As of 2015, there were 20,000 residents living in IJurb, but once construction is completed, it will provide homes for 45,000 people. 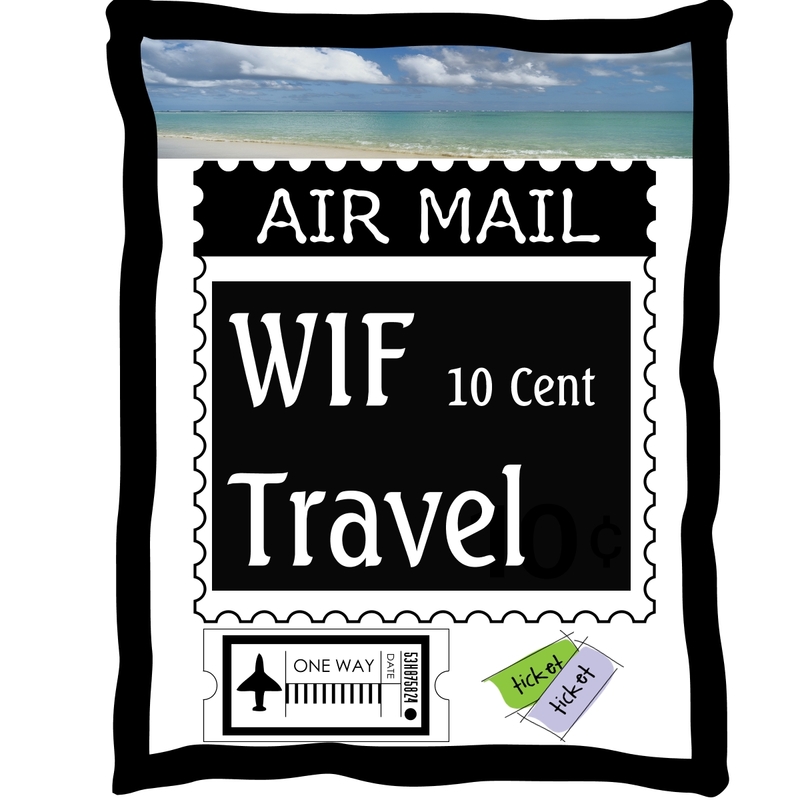 Also on the islands are schools, shopping centers, hospitals, restaurants, and beaches. Within IJurg, there is a neighborhood called the Waterbuurt or the Water District. In that neighborhood, the homes are floating houseboats that are moored to jetties. People who don’t mind spending a little bit more even have a dock outside their home where they can dock their boat. Qatar is an oil rich country in the Middle East, and even though it may be physically impossible to play soccer there because of the extreme heat, it’s set to host the 2022 FIFA World Cup. 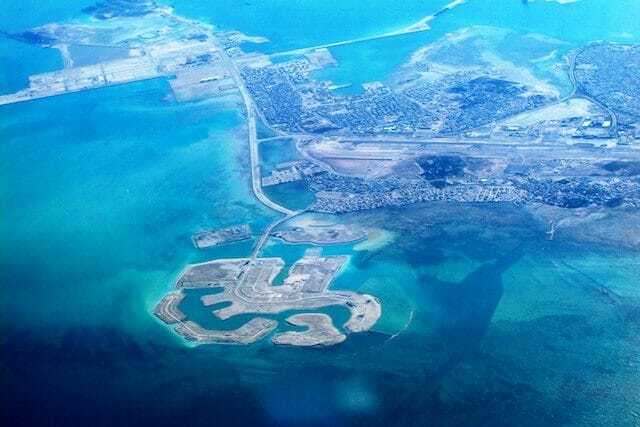 A few tourists coming to enjoy the World Cup will be able to stay on one of the most unique man-made islands in the world, the Pearl-Qatar. Construction on the infrastructure of the island took about 10 years and it was completed in 2014. It has nearly 20 miles of coastline and on the island there are three five-star hotels, 492,000 square feet of international retail, restaurants, and entertainment. 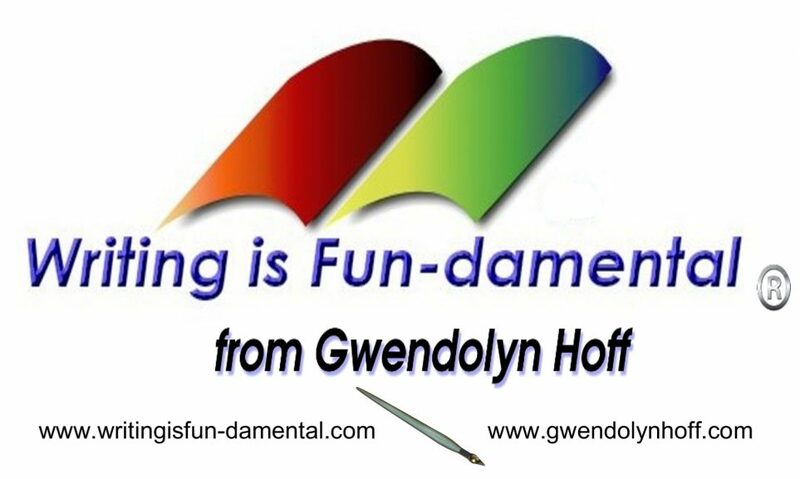 This includes a 64,000 square foot family entertainment center. As of 2014, there were 12,000 people living on the island, but that number is expected to increase four-fold by 2018. 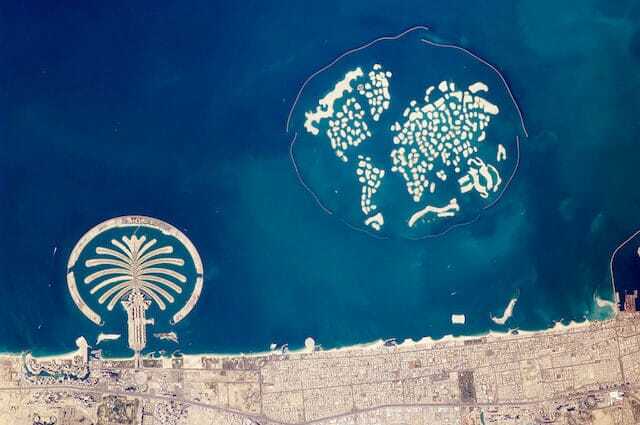 On both sides of the World Islands are the two Palm Islands. On the left is Palm Jumeirah and on the right is Palm Jebel Ali. Palm Jebel Ali has yet to be finished and it’s unclear when it will be completed. When the construction is finally done it’s expected to house 250,000 people, and it will have four theme parks. Construction on Palm Jumeirah went a bit smoother and in 2006 people started to move to the island. When it was completed, it added 320 miles to the coastline. Amazingly, out of the two islands, Palm Jumeirah is the smaller one and it’s only about half the size of the Palm Jebel Ali. It’s home to several hotels, resorts, restaurants, and shopping centers. It also has a monorail to get around. 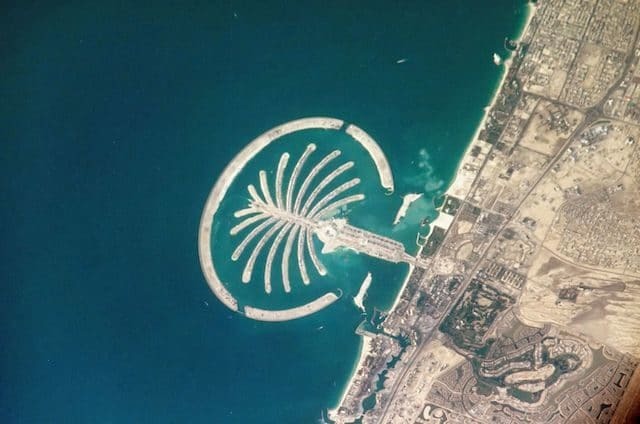 All three of Dubai’s artifical islands were built by dredging up millions of cubic feet of sand from the seafloor, and then sprayed into the pattern of the islands using GPS. Then, for the Palm Jumeirah, seven million tons of mountain rock were used to form a seven-mile breakwater around the 17-fronded palm tree to protect the island from waves and ocean storms.